FreshStrips has won the Golden KIEM Award including 25K for product research. With the Golden KIEM, NWO, the top sector Chemistry and InnovationLink, annually award the best chemical start-up. 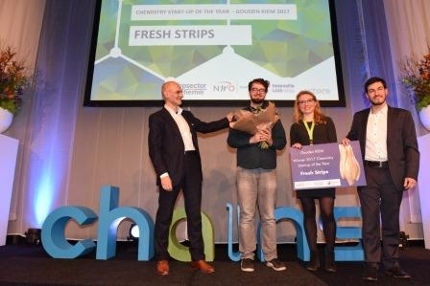 FreshStrips is a new StartLife startup that develops smart-packaging solutions that inform consumers on the quality of food products.